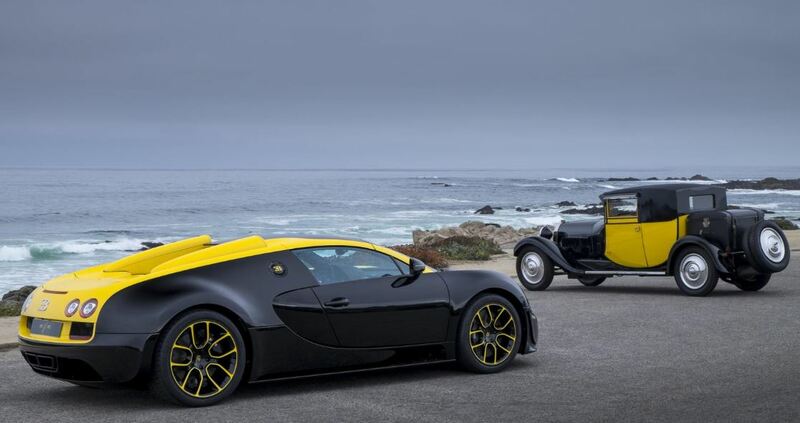 The special edition Bugatti Veyron Grand Sport Vitesse ‘1 of 1’ has been officially unveiled at the 2014 Pebble Beach Concours d`Elegance. The one-off Bugatti Veyron Grand Sport Vitesse ‘1 of 1’ will become the official replacement of the present Bugatti Veyron sportscar, becoming thus the fastest supercar ever built worldwide. 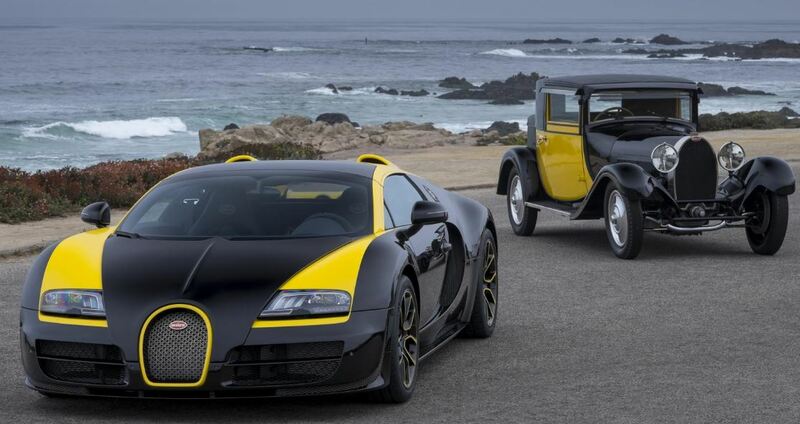 The one of a kind supercar Bugatti Veyron Grand Sport Vitesse ‘1 of 1’ has been presented at the Pebble Beach wearing a special bright yellow paintjob at the front grille, moving to the decklid and finishing with the rear wing, along the wheels. The special color scheme has been taken from classic Bugatti models, like the 41 Royale, the Type 44 or the Type 55. The Bugatti automaker is proud to state that the supercar has been made entirely by hand, starting with the polishing and finishing with the engine assembling under the hood. Inside, the Bugatti Veyron Grand Sport Vitesse ‘1 of 1’ is bragging with black leather, carbon fiber components, yellow stitching, as well as a sketch of the famous Bugatti Type 35, on the center box. Under the hood, the Bugatti Veyron Grand Sport Vitesse ‘1 of 1’ is powered by the same massive 8.0-liter W16 quad-turbocharged unit, found on the present model, developing a whopping 1,200 horsepower.